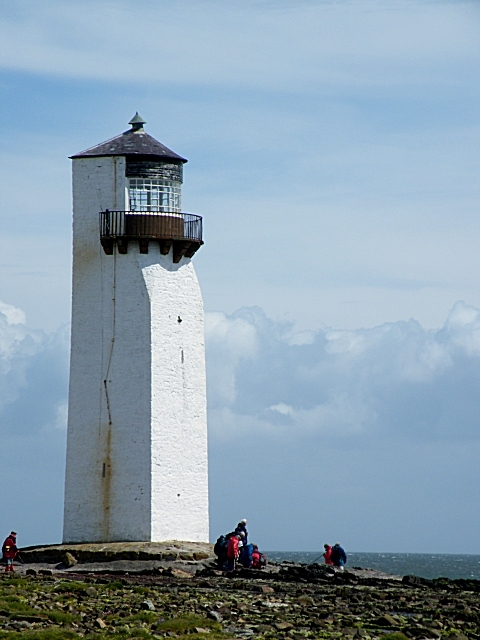 Scotland's second oldest lighthouse is located on the Southerness headland, known as Southerness Point, at the north side of the entrance to Solway Firth. A square tower was built in 1749, on the instructions of Dumfries Town council, as a marker to make sure ships passed safely into the Nith estuary, making it one of the oldest lighthouses in Scotland. It appears on a map of 1753. Modifications took place over a number of years including making it taller in 1795, adding a light for the first time around the 1800's and improving the light around 1815. It was raised for a second time in 1833-44 taking on it's distinctive shape. The light was switched off in the mid-1930s and the lighthouse is now disused. From the A710 take the minor road to Southerness, the lighthouse is at Southerness point at the end.